Don’t build Jubilee Beacons on heritage sites! Undesignated sites are unscheduled ones. There are hundreds of thousands and they have no protection so it’s good to see English Heritage explaining the importance of checking no damage is likely to result from beacons. However, they don’t issue equivalent advice about a far larger and ongoing potential for harm on the self-same sites – the army of metal detectorists, sometimes in many hundreds at rallies, who legally target those sites in particular (the very essence of metal detecting is to find unprotected archaeological sites so as to legally maximise the finds rate). Where is the advice from English Heritage asking detectorists, including rally organisers, like beacon organisers, to check if it will cause damage and go elsewhere if so? Nowhere. It’s not hard to see why EH can feel free to flag up a minor temporary threat but not a massive ongoing one …. First, beacon builders will be willing to comply with any request to avoid certain sites if asked. Whereas asking metal detectorists to desist from detecting on an important but legally unprotected site that they have researched, identified and targeted for that very reason is just a joke. It’s legal innit? LEGAL. Don’t try to restrict our hobby or else we can promise widespread nighthawking from some of us. Second, there’s no such thing as a Portable Beacon Scheme so there’s no-one asking English Heritage not to antagonise beacon builders. As English Heritage no doubt knows and regrets, undesignated sites need protecting from all damage not just some. One day eh, English Heritage? One day it will be possible to issue a warning to landowners on your front page about avoiding major ongoing heritage damage to undesignated sites on their land, not just what might be caused once every sixty years by the highly receptive and co-operative middle classes! 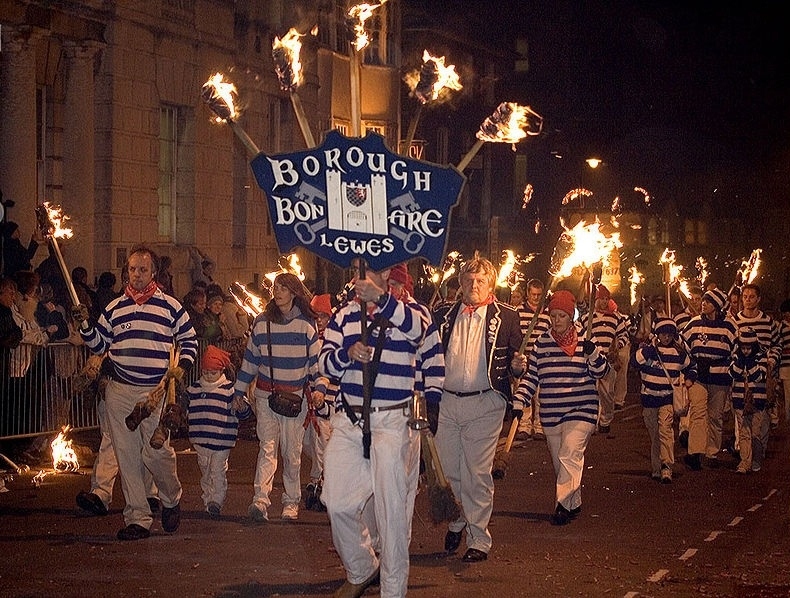 Lewes Bonfire Society .... unlikely to insist "It's legal innit"
« How amateurs can best help preserve ancient sites.